How Do Implants Work With an Existing Denture? Currently, around 36 million Americans use dentures, which often become loose and ill-fitting over time. 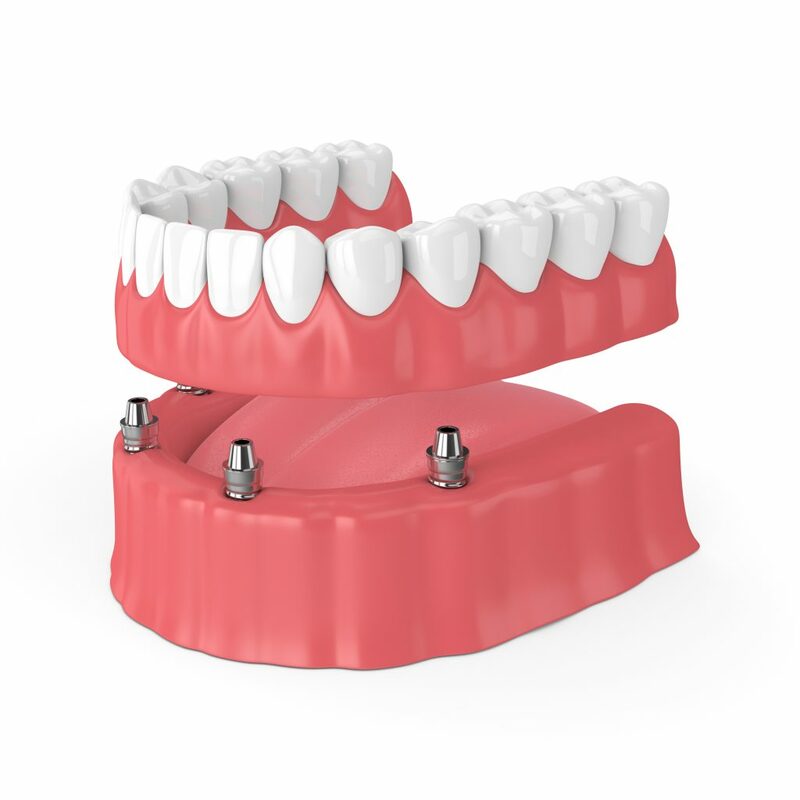 Removable implant overdenture – This type of denture essentially “snaps” onto implants for dramatically improved retention, support, and stability. The denture won’t move (but can still be taken out), so you won’t need nearly as much denture adhesive or glue. Fixed denture – In this case, a patient’s dentures in Oklahoma City are fixed or “bolted” to the implants through titanium components. Only the dentist can remove this type of denture. After tooth loss, the jawbone begins to shrink in size. But implants mimic natural teeth because they stimulate the surrounding jaw bone and prevent bone loss. This helps your denture fit better, for longer, so you won’t need adjustments nearly as often as you would with a typical denture. While traditional dentures stay in place with natural suction and adhesive, an implant acts as a physical anchor and gives the denture stability and support that’s more like natural teeth. This greatly increases your chewing power, allows you to eat tougher foods, and eliminates the slipping you would have from a loose-fitting denture. Also, many people with an existing denture need just 2-4 small implants per arch to get these benefits. And, since upper dentures are often secure enough on their own, you may only need an implant-retained denture for the lower jaw. The best way to find out what will work best for you is to schedule a consultation. Once a dentist has evaluated your specific needs, you’ll have a plan for improving the fit of your denture and enjoying all benefits that go with that! Dr. Colin Holman is an award-winning general and restorative dentist and a graduate of the University of Oklahoma College of Dentistry. When possible, he always recommends implants because he knows they’ll greatly improve the feel and function of a patient’s existing denture. If you have any questions about implants or dentures, he can be contacted via his website.